Spring may seem like a ways off, but it's definitely not too early to start planning your garden. What's that? You don't garden? You're not alone; most people don't. 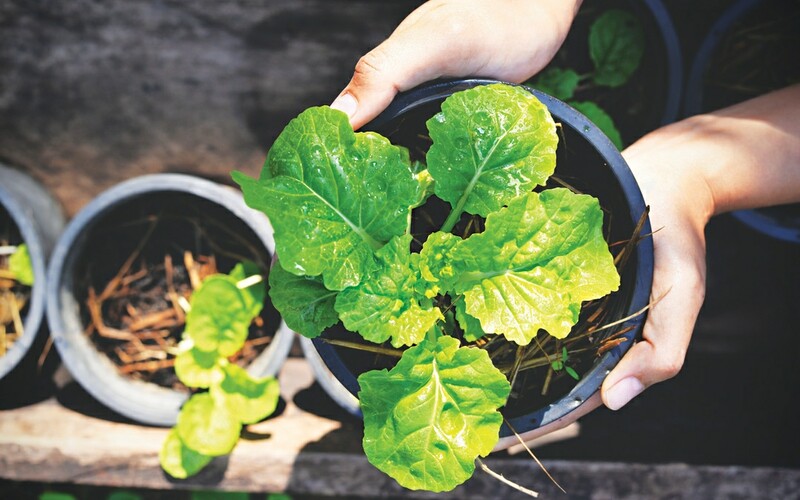 That tide is turning though as we learn more about the health and environmental benefits to growing our own food—not to mention the cost savings. If you want to get your hands in the dirt but feel too intimidated, consider a neighborhood kitchen garden. A communal garden gives reticent gardeners a chance to experience all aspects of gardening minus the time commitment of going it alone. If you don't have access to yards, contact the city and inquire about using a small patch of city land. Get a group of neighbors together who want to share the work—and harvest—of one garden. Determine who has the best yard for it. Give each person an area to research such as growing in your climate, soil prep, seeds, planting and watering techniques, etc. Get a schedule on paper. Make it as detail-oriented as possible, including planning meetings, soil preparation, planting, and then weeding and watering rotations. Cover each other when you're out of town for work or on vacation. Make it fun—be supportive, not critical, of one another, and make sure to have a harvest party to celebrate your work.